Discontinued item. ALL SALES FINAL! No exchanges or refunds. 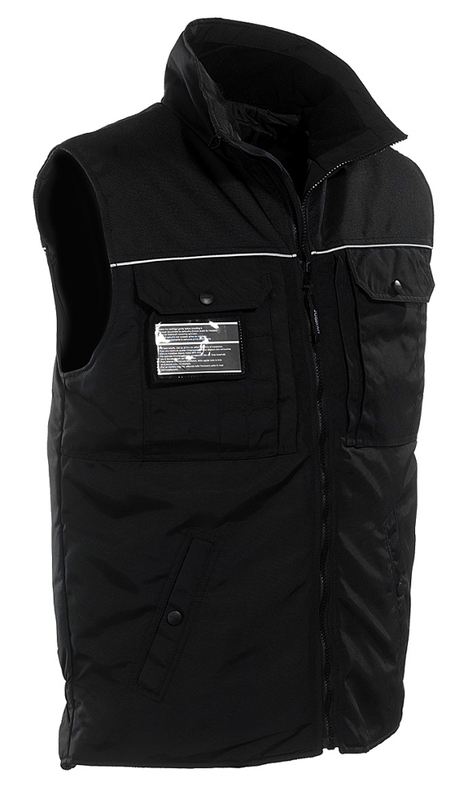 Multi-function winter vest with quilted lining for lightness and flexibility. 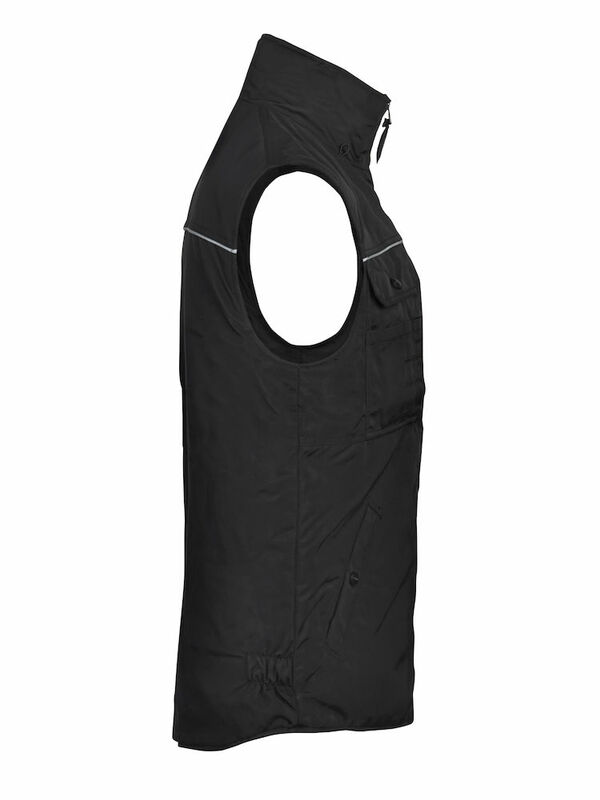 Reflective piping on yoke seams increases visibility in the dark, while PU-coated polyester on the yoke improves waterproofing and durability. Quilted lining. Double inner pockets. Soft poly jersey inside collar. Elastic cord for hands-free mobile cable. Reflective piping on yoke seams, front and back. 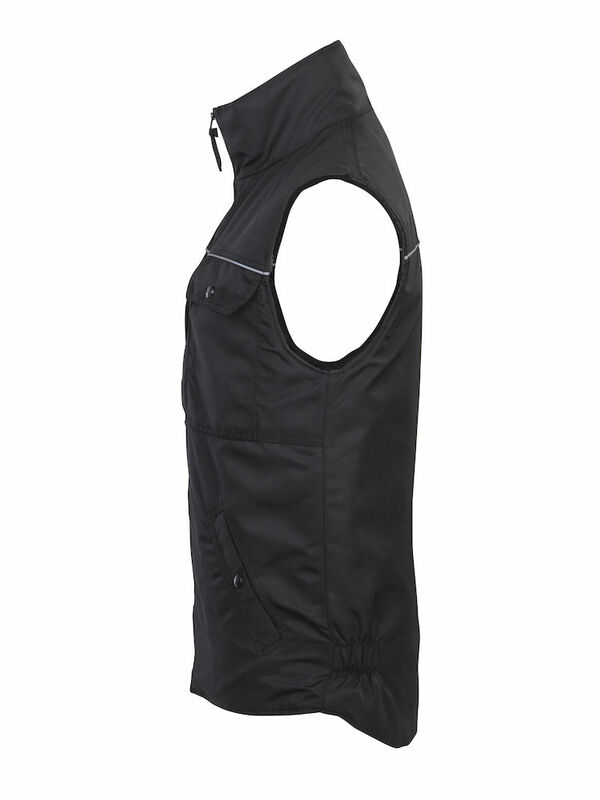 Chest pockets with flaps and inset ID pocket. Zipped hand warmer pockets behind chest pockets, mobile phone compartment in right pocket. 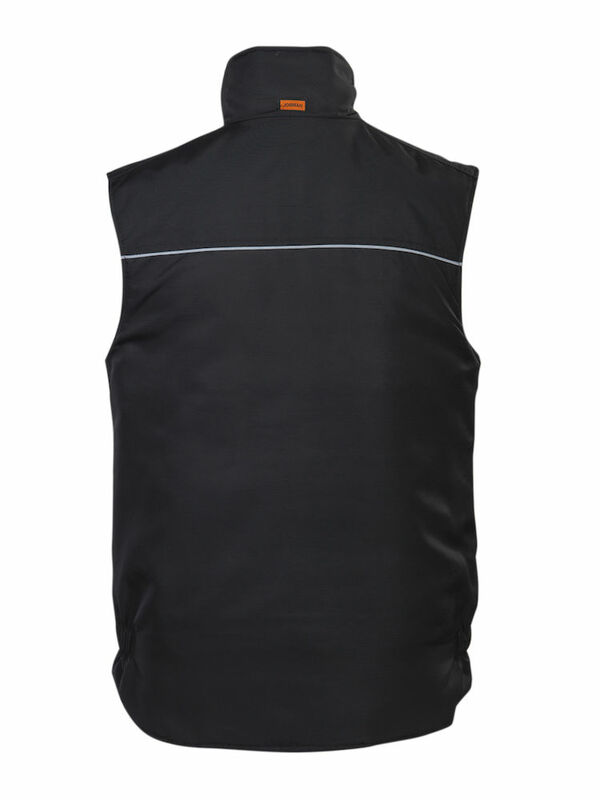 Material: 100% polyester with water-repellent, windproof and heat retaining. PU-coated inside.